Yikes.....that DU Primaries site is a dog eat dog world.....whew. im glad i just skimmed the top of some articles , but cant get upset . I have most of the moths and sea lions on ignore. LOL, thanks! Never heard those before. Lol... I made up the moth one. Thanks, I learned something new today! Do you have yourself on ignore?? It's like that pretty much every cycle. But at least they've got their own space......AND THEY'RE NOT HERE. Adding the Primaries forum was one of the best decisions DU ever made. We had one in 2015/2016. Yep, it's where we eat our own. 1. im glad i just skimmed the top of some articles , but cant get upset . have a-fib. dont want to aggrivate that . im still undecided to the point where i will support any dem candidate in the primaries and the candidate in the ge. main goal is to get rid of trump. ...but then I would go on Free Republic, Conservative Cave, etc. and laugh at the comedy. Yeah I know, I shouldn't, but I tend to think those who post there are beyond reach, so, may as well find the humor of it. Aside from that, I'll support whoever the nominee is in the end. At least it's easy to avoid that site, if we choose to do so. 3. I have most of the moths and sea lions on ignore. It makes that forum much more readable. 6. Moths and sea lions? 9. LOL, thanks! Never heard those before. 13. Lol... I made up the moth one. I think it is very a propos. I had never heard those terms before, they sure fit. 31. Thanks, I learned something new today! 38. Do you have yourself on ignore?? I’ve heard you can do that, but haven’t tried. 23. That is sooooo Special! as fast as I could. It's a snake pit plus I don't need to aggravate myself and end up posting something that will get me banned. 11. It's like that pretty much every cycle. This one, in my experience, hasn't been that bad thus far in comparison to 2016 and a couple of others. It's all relative, of course. Plus, it's still really early. 12. But at least they've got their own space......AND THEY'RE NOT HERE. 17. Adding the Primaries forum was one of the best decisions DU ever made. I can't remember which cycle it was added, but it's been invaluable, both for containing all of the primary stuff in one place and keeping its tendency to be a bit vitriolic from invading GD, etc. 20. We had one in 2015/2016. It was called "General Discussion: Primaries"
I just can't remember if there was one before that. I don't think so. 41. Same thing in '08. This is the first time that people are asked to declare who they are supporting at this time though. I think that is helping a little. Everyone wants to pick up everyone else's supporters when someone finally has to drop out. Gotta be careful not to piss too many people off, lol. It gets uglier when the field narrows to three, and really brutal when it gets down to two. This is to-your-door bashing service. You can't ask for more than that!! I went over there when it was brand new and posted something. The next day I had five replies, five nasty replies. 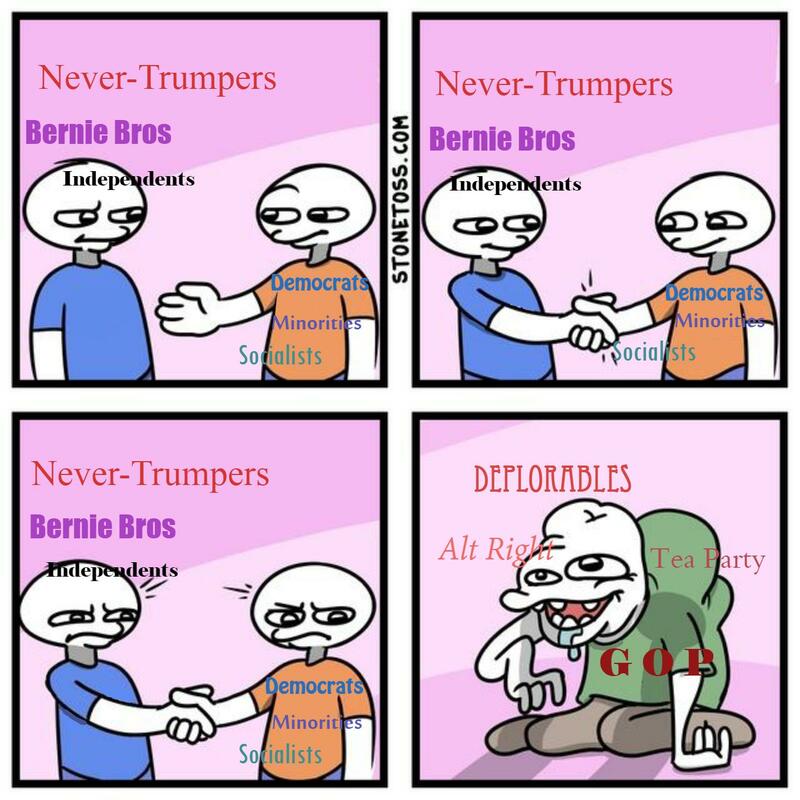 Mods need to rename it the "Bernie Sanders Forum". they rename it the "Bern it Down Sanders Forum"? I felt the bern and had to apply ointment! ... how we should campaign. Anyone who is capable of understanding knows Trump is totally awful. There's no benefit to letting him take up space in our campaign. top of the Democratic Primaries forum. things get angry, even vindictive. 32. Yep, it's where we eat our own. ... times a week and have gotten very few negative replies. I tend not to read the conversations that lose their visual embedding.... too hard to follow who's replying to what and maybe that's where the stuff you're talking about lives. In particular I've been struck by how often someone who identifies with one candidate has something good to say about another one.